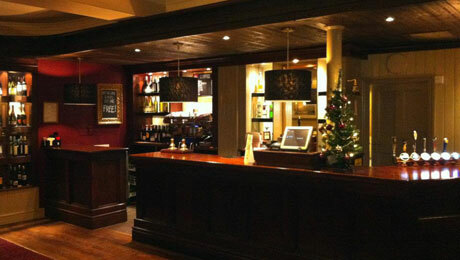 When you arrive at the Portsmouth venue you will be greeted by our friendly professional hosts. Once everyone has arrived and registered we will briefly explain the format of the evening. The ladies will then be asked to make their way to their allocated table. Once the ladies are seated the gentlemen will be asked to proceed to their first date. 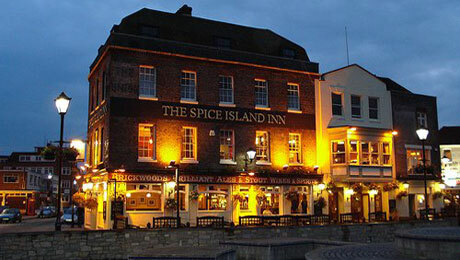 Located in an enviable position along Portsmouth’s harbour front with stunning views overlooking the harbour itself, The Spice Island Inn is a real gem of a venue when it comes to finding love in the city. 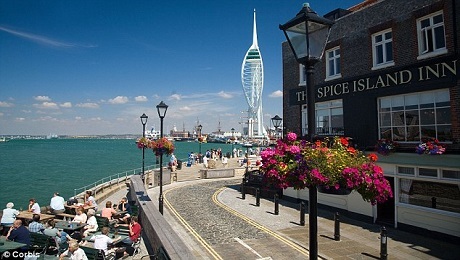 Situated near Gunwharf Quays with the impressive Emirates Spinnaker Tower, a striking 170 metre tall icon of the South Coast, in clear sight, this large 3 storey pub is a resounding hit with locals and visitors alike. And so, it’s no wonder why Slow Dating chose this venue as the ideal place to hold our ever popular Portsmouth speed dating events; it’s spacious with unrivalled views, boasts a friendly atmosphere, has a great food and drinks menu and delivers the perfect ambience for evenings full of chatting, mingling and flirting the whole night through! As the UK’s leading and most popular speed dating company, each and every one of our singles evenings are professionally organised by experienced and knowledgeable hosts who work tirelessly to ensure the evening flows as it should, everyone in attendance understands how our speed dating events work and help break the ice, especially if you’ve never tried this form of dating before! But don’t let the unknown put you off attending; with over 12 years in the industry, we know what works best and understand exactly what the singletons of Portsmouth are looking for. Our speed dating events in the area remain ever popular and we receive fantastic feedback year upon year, so why not try it for yourself? If you fancy an evening out of the house and look forward to a welcome distraction from your daily routine, our speed dating evenings are just perfect! Enjoy sharing your spare time with the company of other likeminded singles and see what Cupid has in store for you this year with Slow Dating singles events in Portsmouth, we’ll guarantee you a fantastic evening out if nothing else!